Isn't it interesting that it took an electoral barnyard beat-down to get the Democrats interested in Russian hacking? A drubbing by Donald Trump has done wonders to focus their minds. How ironic that Democrats became apoplectic about Trump's alleged coziness with Russia during the campaign when they've been Russia's apologists for years. They are the ones (through Sen. Ted Kennedy) who clandestinely asked the Russians for help to beat Ronald Reagan in 1984. They are the ones who lambasted GOP 2012 presidential candidate Mitt Romney for being too tough on Russia. They are the ones (through President Obama) who secretly conspired to "have more flexibility" to negotiate with Russia on missile defense once Obama was re-elected. They are the ones who promised to "reset" U.S. relations with Russia. But when it was expedient to discredit Trump during the campaign over his favorable comments about Russian President Vladimir Putin, they pretended to fear that Trump would collude with the evil Putin should Trump be elected. A resetting of U.S.-Russian relations looked ominous all of a sudden. It became even more alarming after Trump won the election and announced he would appoint Rex Tillerson as secretary of state. In case you haven't heard, Tillerson has a personal relationship with Putin, and Democrats feigned concern that this could lead to the Trump administration's selling the U.S. down the river — kind of like what Obama was planning on doing with missile flexibility. But Hillary Clinton's defeat is what has them most exercised. They've obviously come to expect their party's permanent investiture in the Oval Office, and they were shellshocked at the trouncing they took — not just at the presidential level but all the way up and down federal and state ballots. In this case, pride certainly preceded the fall. Surely, you're not too old to remember their hand-wringing when Trump complained the election was rigged — their outrage that a presidential candidate would undermine the integrity of our "democratic institutions" and the orderly and peaceful transition of power? Lo and behold, as they are wont to do, the Democrats quickly engaged in the very activity for which they maligned Trump, but the difference was that unlike Trump, they didn't just talk about it; they did it. They launched recount efforts and even tried to pressure presidential electors to abandon Trump in their last-ditch efforts to reclaim the executive branch — which they will need to do if they want to impose their will on the American people through lawless executive action again. Though they've failed to upset the integrity of our democratic institutions — having fallen flat in their recount efforts — they've now turned to delegitimizing Trump and his presidency before it has even begun. Call it a reverse honeymoon. How convenient for them that Trump made a few positive comments about Putin during the campaign that they can leverage to prove there is really something between Putin and Trump, which allegedly prompted Putin to interfere in our election to help elect Trump. They have no proof, mind you, but proof is hardly necessary when you have the liberal media at the ready to manipulate facts to advance a false narrative that will benefit the Democratic Party's cause. Indeed, another striking irony has unfolded before our eyes. Democrats are outraged that Russians, by allegedly hacking only the Democratic National Committee and exposing Democrats' corruption and deceit, manipulated our electoral process through the selective publication of facts. But isn't that exactly what the liberal media have been doing for the Democratic Party for years? Republicans don't doubt that Russia tried to hack the DNC and other Democratic-related organizations. They know that the Russians and other foreign governments are incessantly trying to hack into American business and political institutions and that they've been successful more often than we'd like to admit. But before they lost this election, you couldn't get the Democrats' attention on Russian hacking. "Russia's cyber-attacks are no surprise to the House Intelligence Committee, which has been closely monitoring Russia's belligerence for years," said the committee's chairman, Devin Nunes, in a statement. "As I've said many times, the Intelligence Community has repeatedly failed to anticipate Putin's hostile actions. Unfortunately the Obama administration, dedicated to delusions of 'resetting' relations with Russia, ignored pleas by numerous Intelligence Committee members to take more forceful action against the Kremlin's aggression. It appears, however, that after eight years the administration has suddenly awoken to the threat." The Washington Examiner's Byron York reports that Republicans don't doubt that the Russians tried to hack the U.S. political process, because they try to hack everything. But Republicans don't believe that the Russians' motive necessarily was to sway the election in Trump's favor. The Russians didn't take Trump's candidacy seriously and assumed Clinton would be the next president. Their goal was to expose her as deceitful and corrupt and, in so doing, reveal the United States as something other than the pristine power it holds itself out to be. "The number-one thing Russians seek to do is to sow doubt about the United States," writes York. It wasn't that the Russians didn't try to hack the Republican Party and its institutions, as well. They just didn't succeed. The Democrats don't care about Russian cyberwarfare except when it threatens their power. The Democrats know the country's mood has shifted from Democratic malaise to Republican optimism. Like everyone else, they feel this buoyancy, and they're horrified that Trump may make decisive policy changes in his first 100 days in office, including a repeal and replacement of Obamacare and an introduction of tax and regulatory reform, and an implementation of border security measures. They simply cannot tolerate this, so they will do everything they can to discredit Trump — hoping that what they can't stop at the ballot box, they can prevent through distorting the narrative by selective dissemination of the facts. Don't ever forget that projection is their stock in trade. David Limbaugh is a writer, author and attorney. His latest book is "The Emmaus Code: Finding Jesus in the Old Testament." 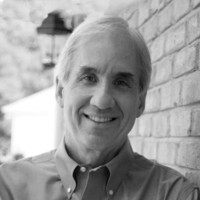 Follow him on Twitter @davidlimbaugh and his website at www.davidlimbaugh.com. To read features by other Creators Syndicate writers and cartoonists, visit the Creators Syndicate webpage at www.creators.com.